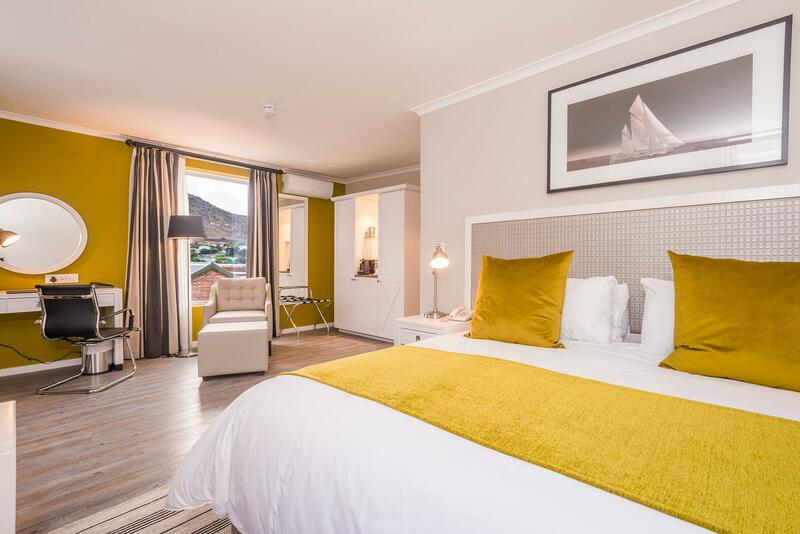 ﻿ aha Simon’s Town Quayside Hotel Cape Town. JIMAT di Agoda.com! Ada soalan mengenai aha Simon’s Town Quayside Hotel? Direka untuk kedua-dua tujuan perniagaan dan percutian, aha Simon’s Town Quayside Hotel terletak di lokasi strategik di South Peninsula; salah satu kawasan yang paling popular di bandar tersebut. Dengan lokasi hanya 0.1 Km dari pusat bandar dan 50 Km dari lapangan terbang, penginapan 4-bintang ini menarik banyak pelancong pada setiap tahun. Bagi anda yang ingin pergi agak jauh, Muzium Warrior Tay, Kayak Laut Bandar Simon, Muzium Warisan merupakan beberapa daya tarikan untuk pelawat. Kemudahan dan perkhidmatan yang disediakan oleh aha Simon’s Town Quayside Hotel memastikan penginapan yang menyenangkan bagi para tetamu. Meja depan 24 jam, simpanan bagasi, tempat letak kereta, khidmat bilik, penjagaan kanak-kanak merupakan beberapa kemudahan yang membezakan aha Simon’s Town Quayside Hotel daripada hotel-hotel lain di bandar. Masuklah ke salah satu dari 28 bilik tetamu kami dan tenangkan hati anda dengan pelbagai kemudahan seperti ruang tamu asing, pengesan asap, penyaman udara, pemanas, meja yang boleh didapati di beberapa bilik terpilih. Hotel ini menawarkan banyak peluang rekreasi yang unik seperti sukan air (bermotor), sukan air (tidak bermotor). Dengan lokasi yang ideal dan kemudahan sepadan, aha Simon’s Town Quayside Hotel sangat memuaskan hati. It was lovely! The hotel staff was very friendly and helpful in helping me to make my transport arrangement and carrying my luggage up the stairs as there is no elevator. We booked a room with Ocean view and it was the right choice. We get to enjoy the wonderful view of the Simon's Quayside with all the yachts and boats. The room is very clean and the beds are comfortable. The only surprise was the non availability of towels in our room, at the time we checked in. The staff said there was a unexpected delay from the laundry. Fortunately, the towels arrived when we get back to hotel in the evening. Was a great pleasure staying at aha Simon’s Town Quayside Hotel. Apart from a rattling window which was fixed, i would definitely be revisiting the hotel and staying there again. Hotel is stunning. Had a mountain facing room, with no mountain...only the square, BUT it didn’t affect our stay. Our anniversary was well celebrated. Friendly staff and great room! Hotel is in a great position to see the Cape Peninsula. We had a great view of Simon's Town harbour. Walking distance to several restaurants and coffee shops etc. Staff very friendly and helpful. The only downside is if you are directly over the restaurants on the harbour, it could be nosey at night. We stayed at Simons Town Quayside Hotel for the one night whilst visiting Boulders Beach and Cape of Good Hope. The hotel was well situated in the centre of town and the staff and cleanliness were also good. Breakfast (buffet) was very nice although a little chaotic as I felt that they were one member of staff short with a large trip also staying there. We would have preferred to have had a double bed as opposed to twins pushed together with separate mattresses, but not sure I will mark it down for this. Charging for Wifi seems a little more common in SA than I had expected, but I would have expected this to be free baring in mind various local restaurants offer this. There wasn’t much to do in Simons Town and would probably stay in Fish Hoek if I returned to the area, but the view over the harbour was lovely and the local restaurants were also very nice too. Proximity to Boulders and Cape of good hope and the free parking also excellent. Getting to this hotel was difficult and we got stuck in traffic due to the road works. It would have been nice to have been notified about this in advance possibly with alternative routes to the hotel. The room was big and clean enough however the wifi was poor. During the night there was a power cut in the town, which meant the additional wifi I had purchased could not be accessed and the warm cooked breakfast that we had paid for was cold. While I don't blame the hotel for the power cut, I was disappointed that no compensation was offered for not providing a warm breakfast or electricity in the room and no apology was made either. This hotel has very poor customer service. Staff were excellent especially Pearl who went above and beyond when my husband became ill during our stay. Room 108 I would highly recommend as size and view are worth every penny/cent. Room was cleaned to a high standard daily. We loved this beautiful hotel. A fantastic location. Masses of restaurants and lovely shops, and of course the Penguins. Friendly and efficient. Internet access could be improved, but that is the only downside I could find. Our room was overlooking the harbour and we enjoyed watching the activities from our nice terrace. The room was bright and large, a nice treat. There were many restaurants within walking distance and we could park our car. The area attractions were easy to reach, Boulders penguin colony and the Cape of Good Hope, both a must. 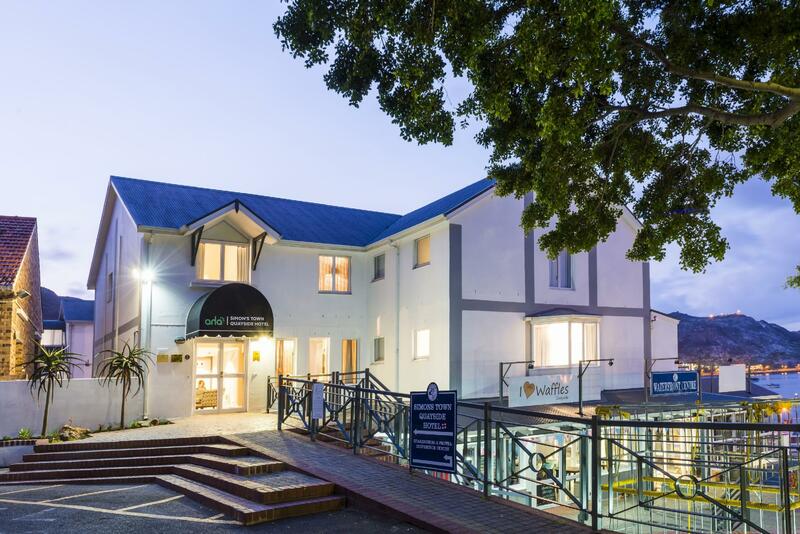 We would recommend this hotel to others, a nice change from staying in Cape Town and not difficult to reach the airport. Our travel plans were upset by the notoriously fickle Cape weather and I booked a night at this hotel literally one hour before arrival. Upon arrival, the staff member at reception was ready with all the information and also provided us with several bits of helpful local advice. I really like this hotel. It is smally and lovely hotel located above famouse restuarant. Staffs are very helpful and friendly. I would ike to come back here again. 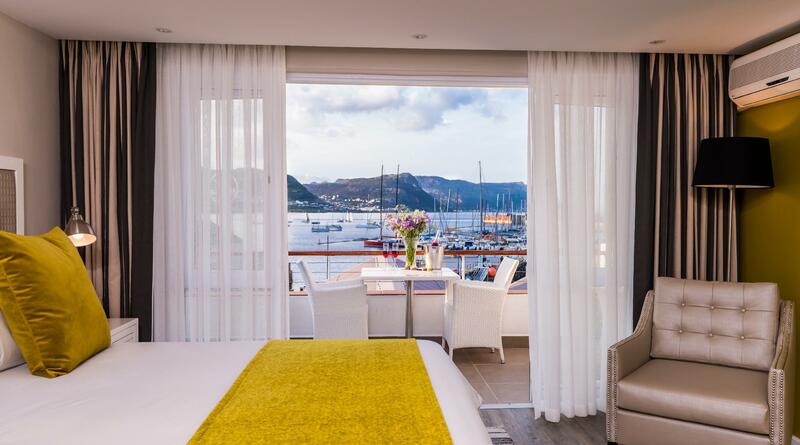 The rooms have amazing view of he simon's town harbour and close to bouarder's beach and cape of good hope. This is great hotel you should stay when you come to cape town. We enjoyed our stay in the hotel. Very good value for money and it is on the Jubilee Square in the heart of Simon's Town's town area and next to the harbor area. Close to shops and restaurants. Only downside was the parking which was first come basis on Jubilee Square general parking area. we stayed for one night and had a luxory room with great views and a generous balcony facing the harbor. if you enjoy a maritime feel, you will love this room. clean, tasteful and modern too. breakfast was not included so we used the cafe just across the parking lot/square which was great. had dinner downstairs at bertha's which was ok (again great location) but not great. stayed only one night, but could easily have spent another day just kicking back on the balcony enjoying the harbor atmosphere. Small friendly hotel fantastic position on edge of the harbour there was no hotel bar or restaurant however outside down two flights of stairs You could eat very well at restaurant called Berthas in or outside sitting on decking. 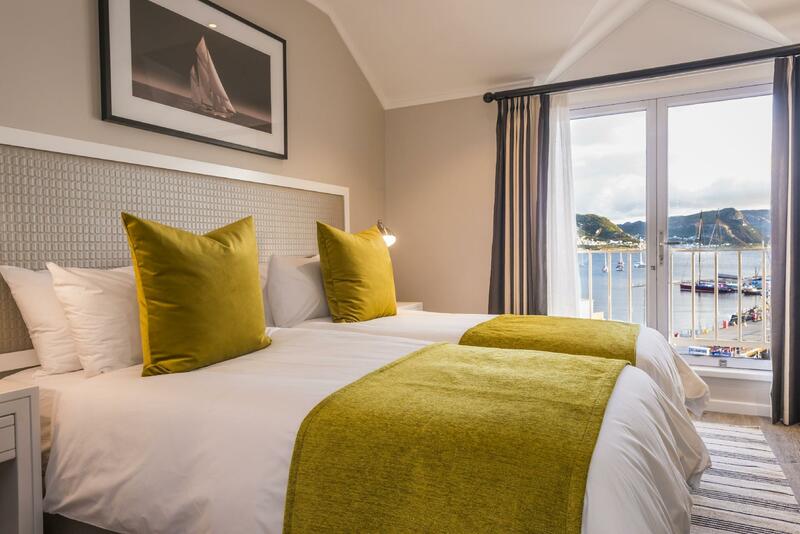 We had the largest bright very clean pleasant bedroom bathroom with a wonderful view of the harbour and lots of activity to watch with the boats coming and going Good Crisp bedlinen all in all a very nice experience. Warm welcome, fabulous view from Juliette balcony. Amazing breakfast. Very clean room and lovely staff.